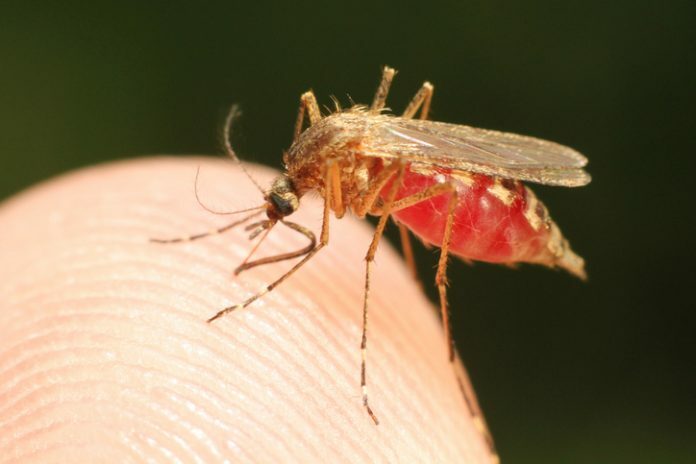 Once transmitted from infected mosquitoes, malaria parasites make a beeline toward the host’s liver to evade immune detection and set up camp. Inside the liver cells, the parasite rapidly reproduces, copying itself as many as 30,000 times in the span of 48 hours. After building strength in numbers, the parasite leaves the liver and escapes into the bloodstream, invading red blood cells and triggering the devastating disease. Now investigators at Duke University have uncovered a unique survival mechanism the malaria parasite employs while it resides within the liver. In the new study, the researchers showed that the Plasmodium parasite tricks liver cells into pumping out a protein called aquaporin-3 (AQP3), and then steals the protein for itself. Findings from this work were published recently in PLOS Pathogens, in an article entitled “Plasmodium Parasite Exploits Host Aquaporin-3 during Liver Stage Malaria Infection.” Interestingly, the Duke team was also able to show that using an inhibitor to disable AQP3 curtails the parasite's ability to reproduce inside the liver—potentially opening up a whole range of new treatment options. After arriving at the liver, Plasmodium forces its way into liver cells, stealing a bit of the cell membrane to form a small pouch inside the cell. This pouch, called the parasitophorous vacuole, provides a safe harbor while the parasite grows and divides, stealing nutrients and proteins from the host cell along the way. “The liver stage is a checkpoint, a bottleneck, where it goes from a few dozen parasites to many thousands of parasites, which are released from the liver into the blood where it is amplified into hundreds of billions of parasites,” noted Nobel Laureate Peter Agre, M.D., director of the Johns Hopkins Malaria Research Institute, who was not involved in the study. “If we could put out the forest fire when it is the smallest possible little campfire, that would be a potential therapeutic breakthrough,” Agre continued, who won the 2003 Nobel Prize in Chemistry for the discovery of aquaporins. After infecting human liver cells with the parasite, the research team used RNA sequencing to comb through all 20,000 genes in the human genome, searching for ones that are switched on in infected liver cells. The scientists decided to investigate the role of one protein that they found in greater numbers called AQP3, a channel protein that sits astride cell membranes and plays a key role in shuttling water and nutrients into and out of the cell. Liver cells do not normally produce AQP3, instead relying on other types of aquaporin for water transport. But after infection with Plasmodium parasites, the liver cells started producing the protein in droves. The team used fluorescence imaging to track where all the new AQP3 proteins were going—and followed them straight to the vacuole membrane surrounding all the rapidly replicating Plasmodium cells. “This is the first time we have seen upregulation of a human protein that is then trafficked to the vacuole membrane just to help the parasite,” Derbyshire remarked. When the researchers exposed the liver cells to an AQP-3 inhibitor called auphen, which blocks nutrients from passing through the port formed by aquaporin, they found the number of parasites decreased dramatically. “This is a great proof-of-principle that you can develop small molecules to fight Plasmodium in the liver, and one could now have a campaign looking specifically for inhibitors against this protein,” Derbyshire noted. Barring the Plasmodium parasite from reproducing in the liver could not only help treat malaria before the onset of symptoms but also sidestep the development of drug-resistant strains by targeting proteins in the host cells rather than in the rapidly evolving parasite.